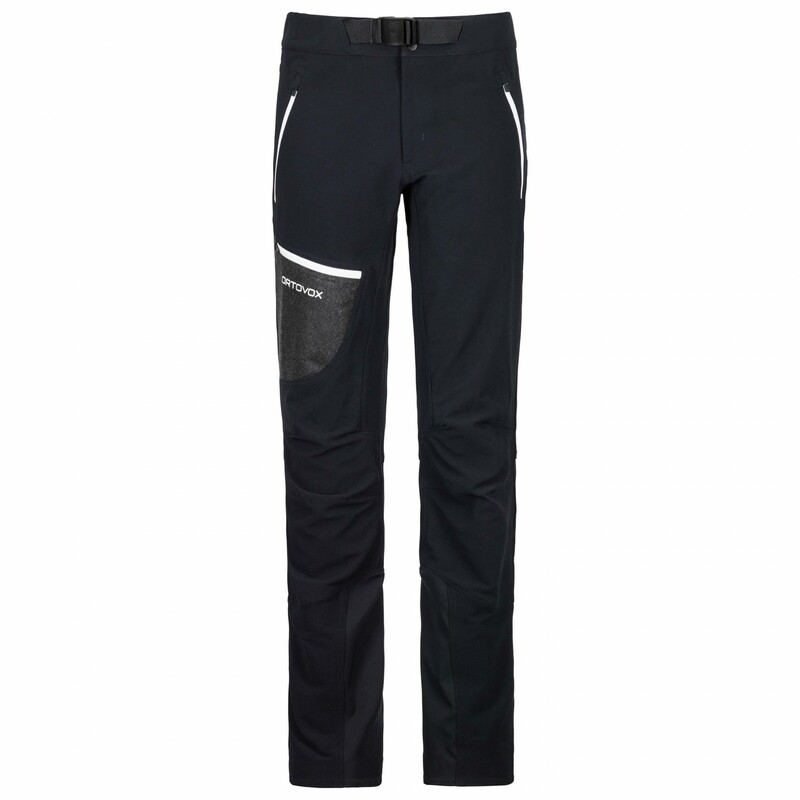 The Women's Shield Shell Cevedale Pants by Ortovox are perfect for long and demanding ski tours. These functional outdoor trousers are particularly well suited for tours with a lot of elevation gain. They are made of a material that is both abrasion-resistant and elastic. Plus, the fabric has been treated with a DWR to shield you from water. For the interior, Ortovox opted or fine merino fibres. To ensure that you can achieve the perfect it, they've added a belt as well. As for storage, there are three pockets with enough space for your small essentials. All pockets have zip closures. 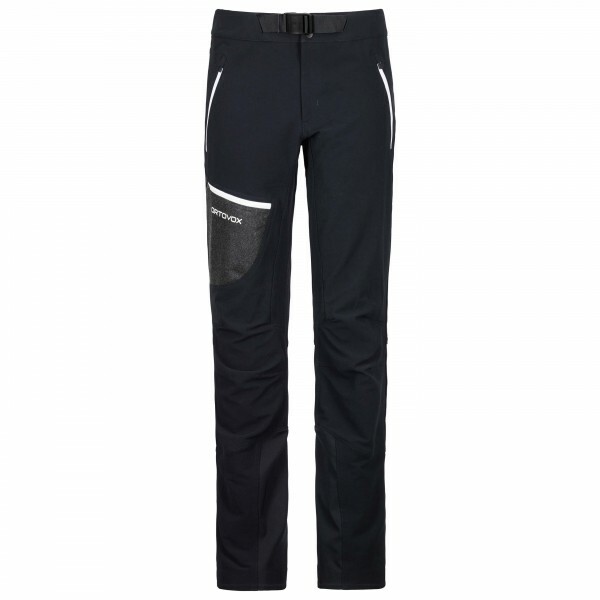 Of course, ski trousers wouldn't be complete without some gaiters! They'll fend off snow when you're skiing in the spring or riding downhill in the deep snow. The Cevedale Pants also come with adjustable leg cuffs and scuff guards on the inside.